Your bait could be disappearing for a variety of reasons, but the most probable is that a variety of pests are finding your bait, depending on the specific bait being placed and the type of trap being used. 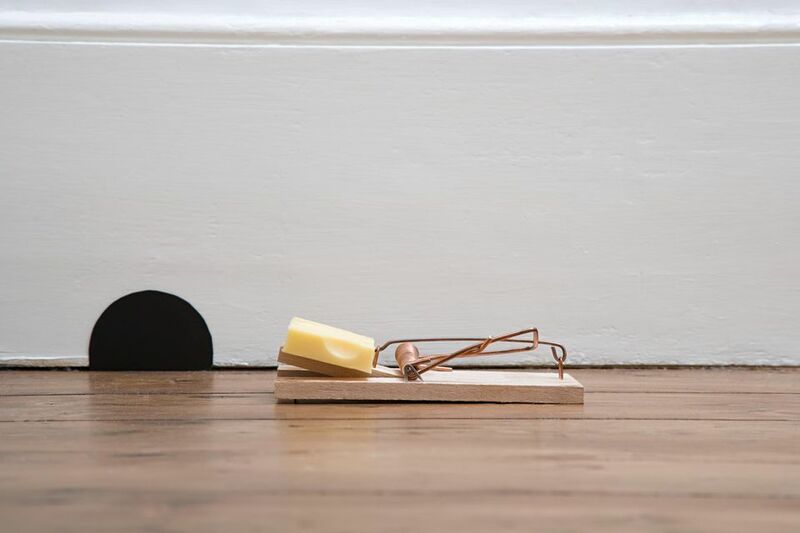 Rats: Because they are much larger in size and weight, rats can easily circumvent glue boards and traps meant for mice – snatching the food without getting caught in the trap. Insects: It is very common for insects such as slugs, crickets, ants, and cockroaches to feed on bait meant for rodents. These tiny insects can get in and out of living traps and other non-sticky traps without triggering the trap. Crickets and ants are very common intruders, and slugs can often be identified by the slimy trails they leave on the trap or trigger. Small wildlife (squirrels, opossum, etc. ): Small non-target wildlife has been known to steal food and bait from various mouse traps/glue boards without getting caught themselves. Large wildlife (rabbits, deer): Even larger mammals can be culprits if the bait is reasonably accessible and the food is used that is attractive to these animals – such as anything that could be found in a home garden to which these mammals are attracted. Make peanut butter more effective by wrapping a piece of gauze in it and around the trap's trigger. As it tries to dislodge the peanut butter, its teeth will embed in the gauze and pull the trigger with it. Use only enough of the food bait to attract the rodent – the more there is, the more likely the rodent can get a meal without taking it all, or snapping the trap. Never try to catch rats with a trap made for mice. If it doesn't get away with the bait, it is likely to be injured and die an inhumane death. In live traps hang the bait toward the back of the trap to reduce insect accessibility. Mice are also attracted to nesting materials such as string and cotton. If you continue having issues with food, try using these items instead. Because you do not see any new mouse droppings, your original problem may be solved, unless there is other evidence still being seen. If so, it would be a good time to reanalyze this evidence to determine if the issue is, indeed, mice, or if there is another pest causing the issue, e.g., cricket or cockroach droppings are similar to those of mice and may need a professional eye to distinguish between the two. It is very important that the pest is properly identified, as that is the only way to enable a determination of the best and most effective control method. If there is no further evidence of pest presence, or problems being caused, it would be advantageous to discontinue the trapping and baiting efforts unless the mice, other pests, or evidence of pest presence, reappear. If you do have continued evidence of pest presence (besides the fact that the bait is gone) and are unable to determine what the pest is, it may be time to call a pest control professional to conduct a complete inspection to identify the pest and recommend and/provide the most effective control. Will Birdbaths or Herbs Attract Rats?